Whangarei couple Jeff and Jana Joy are fighting back against New Zealand’s appalling dental health, one mouth at a time. With Kiwi dental health viewed as third world and children waiting months for treatment, the Joys have decided it’s time to get to the root of the problem and change the way dentistry is done in this country. On Monday, 26 November, they will open a $2.5 million one-stop world-class dental facility, providing regular and expert dentistry services all under one environmentally-friendly roof. “We want to provide accessible, affordable dentistry to the Whangarei community. For example, we are introducing perioscopy, which is a non-invasive, non-surgical alternative to periodontal surgery. This advanced perio treatment is a third of the cost, far more comfortable and often provides better results,” says owner and dentist Dr Jeff Joy. More than 96,000 New Zealand children had their teeth extracted in 2017 and 6,600 kids were hospitalised with rotten teeth. Northland has the second highest rates of poor dental health, with only 44.19% of Northland five-year-olds being caries (filling) free. “Previously Northlanders have often faced additional travel costs for the trip to Auckland but now the District Health Board is saying Auckland cannot keep up with demand, with about 100,000 Kiwi kids not having their yearly dentist check-ups,” says co-owner and practice director Jana Joy. “Our new clinic will allow us to better serve the needs of both the Whangarei community and all of Northland. We’ve expanded our practice from six dental chairs to 16 and have a team of 25 staff, with more joining in 2019. Our services surpass anything on offer in Auckland and we hope the days of Northlanders having to travel so far for treatment are over,” says Jana Joy. Kowhai Dental was launched in Whangarei by husband and wife team Jeff and Jana Joy in 2009. Jeff is a US-trained dentist with over 30 years’ dentistry experience and is an expert in advanced endodontics and prosthodontics. Each dentist at Kowhai Dental holds a doctoral level degree, and the team includes Dr Matthias Stamm, a world-renowned implantologist, who has recently returned from China where he was lecturing on advanced implant placement and reconstructive techniques.Matthias was an Associate Professor of Oral Surgery and Implantology at the University of Dusseldorf, before joining Kowhai Dental. “The extensive experience of our team reflects our ethos that affordable dentistry shouldn’t mean compromising on quality,” says Dr Jeff Joy. In time, Jeff and Jana plan to expand their model of providing accessible, affordable dentistry throughout all of New Zealand. 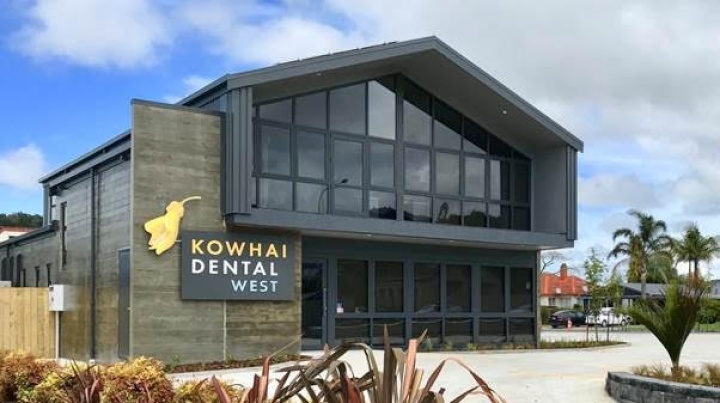 Find more from Kowhai Dental on InfoPages.